At BoldForm Designs we love all things to do with modern Atlanta interior design. 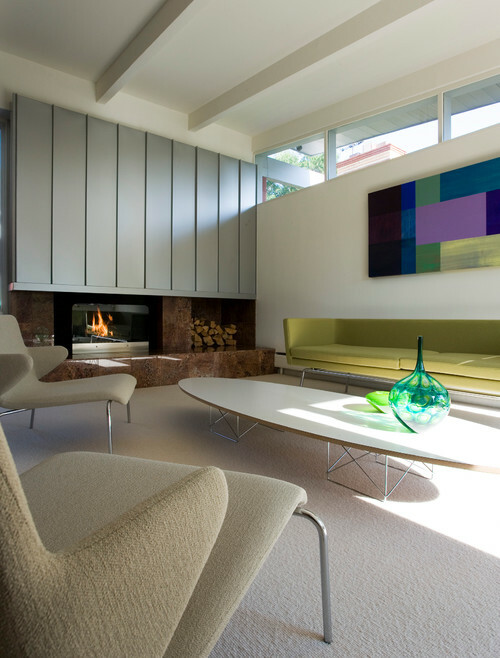 And as the anchor of a home’s gathering space, modern coffee tables are a key element in a living room’s design. While there are tons of gorgeous, modern coffee tables on the market, it can seem tricky to style them and not err on the side of being predictable or cluttered. Luckily there are lots of tips and tricks for styling a modern coffee table like a pro. 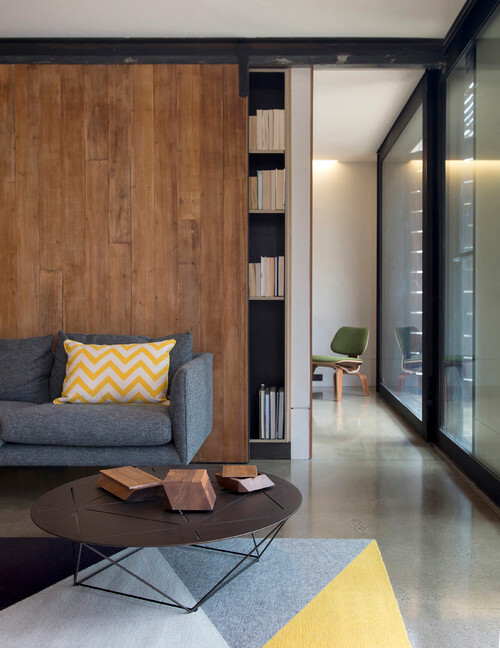 For an ultra modern or contemporary look, you can’t go wrong with keeping the coffee table bare. To make the empty table look purposeful rather than forgotten, opt for a coffee table that features interesting lines and shapes – it becomes a piece of art itself. 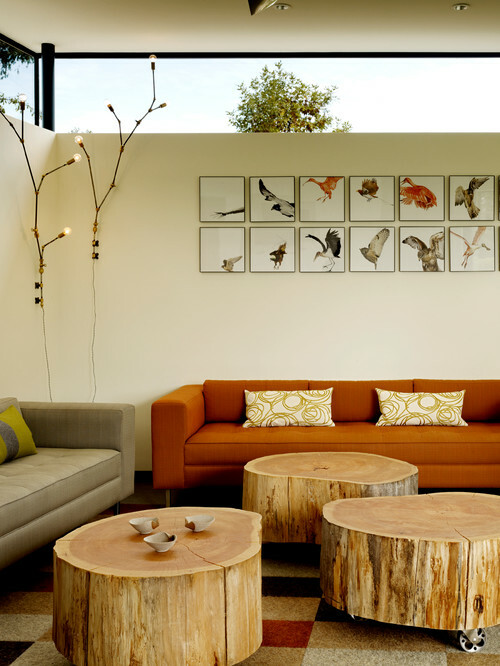 Cluster several smaller scale tables together to create a single coffee table area. Of course, real life often dictates that remotes, magazine, toys and a host of other things need a place to live. You can still have the clean aesthetic by choosing a modern coffee table design that provides storage. 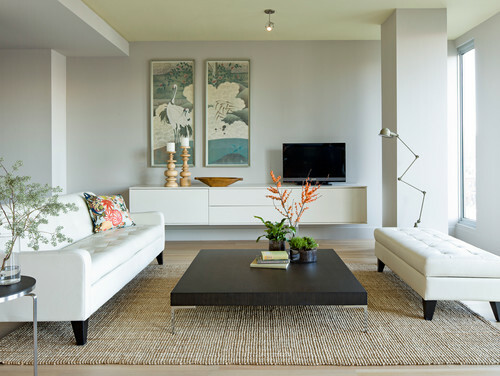 A design tip for styling a modern coffee table that looks great but is simple to execute is to choose one design element – color, shape, or light – and make it a focal point. Vases, flowers, or food can be used to add a pop of color to the coffee table. 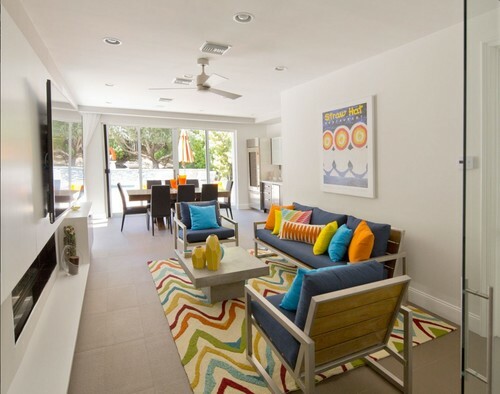 The effect works as well in a neutral space as it does a brightly colored room. 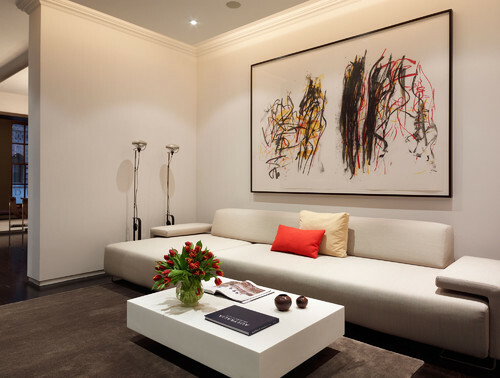 Sculptural pieces are a way to add interest and beauty to an otherwise clean and bare modern coffee table. 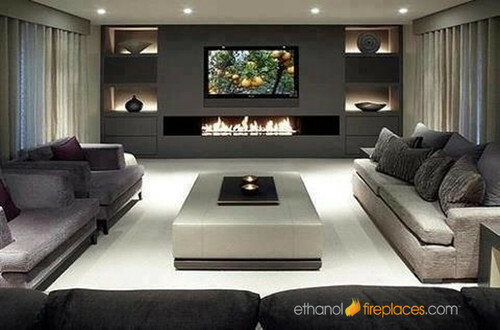 Candle light and tabletop fireplaces are a dramatic way to style a modern coffee table. They also offer beautiful ambiance for evening entertaining. This next design tip is so easy it will feel light you’re cheating. Adding flowers or greenery to a modern coffee table is a great way to add beauty and balance. A pop of yellow wildflowers catches your eye and is a nod to the gorgeous views of this living room. 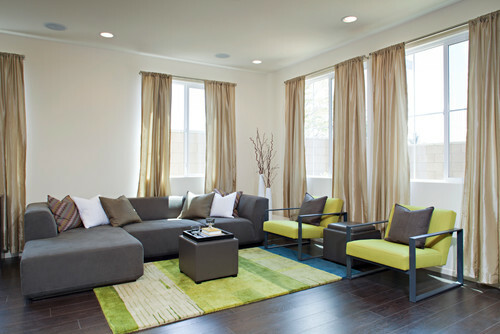 The cluster of greenery and flowers on this coffee table lends balance to the larger room. The white floral arrangement in this modern living room complements the dramatic ceiling height. 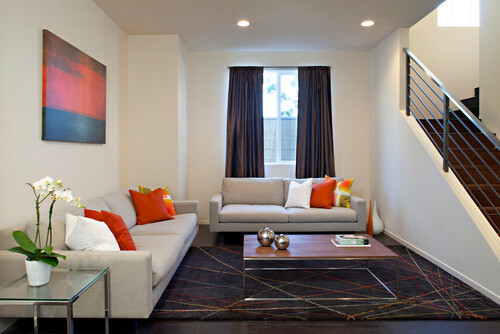 Just because a room is modern or contemporary, that doesn’t mean you have to opt for minimalism. There are certainly ways to fill up your coffee table without making it cluttered. Combine interesting, sculptural elements with fresh flowers. Add in a personal touch, such as coffee table book on your favorite passion. Invest in beautiful glassware and keep it on your coffee table. Not only does it nice, but you and your guests will always have a fresh glass of water an arm’s length away. 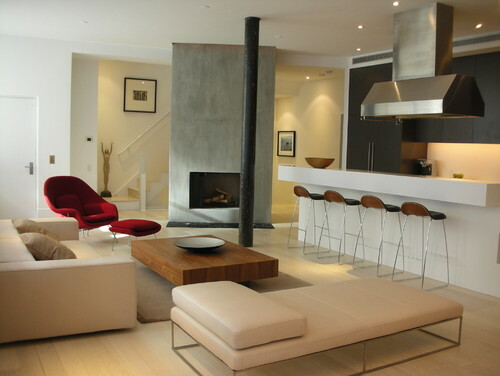 We love to help Atlanta area homeowners put the finishing touches on their modern interior design. Contact us today about our Hourly Consultation design services. Interior Design modern Atlanta interior design, modern coffee tables, modern living room design, styling a modern coffee table, styling a modern table. permalink.